The Bissell steam mop concept is a product that evolved out of the rich history of Bissell the company going back as far as the 1800s. Steam mops from Bissell are designed for use on hard surfaces such as cement floors, tiles, and wooden surfaces, and even bamboo floors in the home or office. 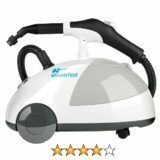 In the same manner as Bissell steam cleaners and other steam cleaners steaming is a very effective way of disinfecting surfaces as well as sanitizing them. Steamers also work effectively in removing the most difficult stains from floors and hard surfaces. The heat produced by the steam weakens the bond in stains making them easy to remove. 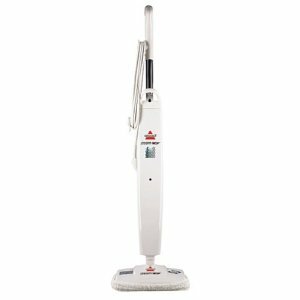 Overall Bissell steam mops are designed with a ergonomic approach. They allow cleaning to be done whilst one is standing upright which is an advantage in the context of a prospect of bending to do your cleaning. They are also flexible enough to fit and reach to the most difficult places such as under furniture and kitchen cabinets. 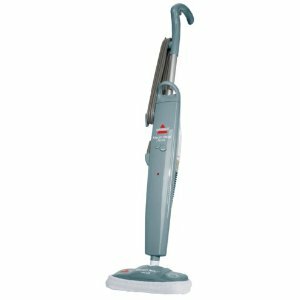 Selling for just about $70.00 on Amazon this steam mop cleaner from Bissell is one of the most popular Bissell cleaning product. The company has sold hundreds upon hundreds of this steam mop. This mop is admittedly a little weak when compared to other steam mops on the market in the context of sanitizing your floor. At maximum temperature you will need to hold the mop is one place for not more than 15 seconds in order to achieve sanitization which other steam mops will achieve in one swipe. Further hold the mop for more than 20 seconds in one place will damage the floor especially if it is a wood floor. When considering reviews and opinions of different users of this machine across the internet, keep in mind the fact that different people review according to their expectations. For example some people find the removable water reservoir a convenience at the same time some find it annoying, time consuming and unnecessary. 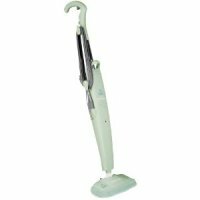 Overall we give the Bissell steam mop cleaner Green Tea high ratings and recommend it. It is a best buy now taking the price into account. Just be careful with the trigger. getting too relaxed with it will give you wet floors. Bad news if that's not your intention at that particular time. - at 125 degrees the steam not as hot as other brands on the market. Requires a 15 second hold down to sanitize. Other brands sanitize with one swipe. - removing the tank of water each time you refill is a bit laborious considering the water lasts about 15 minutes of cleaning. - Prepare to change filters time and again depending on frequency of use. These filter calcium out of the water to prevent build-up on elements that heat the water. - the need to press trigger each time to get steam out can burden your fingers especially when doing whole house. - at 17 feet, the electric cord rather short but can be extended. This Bissell mop at $80.00 is slightly more expensive than the forgoing Green Tea reviewed above. This mop has the same issue about using filters to prevent calcium from hard water accumulating on the water heater. Due to this reason some buyers also buy in advance some calcium filter and the microfiber pad replacement for down the road replacement. This comes to roughly about $100.00 for all three items. This is also a water only mop which will not bother you with need for detergents and chemicals. This is a hard surface floor cleaner. All in all this steam mop is similar to the Green Tea. The only distinguishing factor is the accompanying carpet cleaning attachment. This is essentially designed for users who also want to do some carpet deep cleaning or for simply cleaning your rugs. It's cord is slightly longer at 20 inch. Some individuals make the decision to only use distilled water with their steam mop to save the filters from the agony of dealing with calcium in hard water thereby prolonging their life. This may be an additional cost to constantly be supplied with distilled water for this purpose after the initial one accompanying your purchase runs out. As a troubleshooting tip, to avoid getting your floor too wet as been the problem with many avoid being "trigger happy". Continuing to pull your steam trigger well make the pad on the mop too wet. That will mess your floor. This is a good steam mop. We are just not convinced nor too impressed about the deep carpet cleaning. We recommend that if your home work is biased towards carpet cleaning you just invest in a deep carpet cleaner. - the hanger a thoughtful addition to the design which makes storage by hanging ideal. - might experience water leakage on the floor. Some users resolve this problem by detaching the tank after steaming. - after use conscious effort to avoid water stains is needed. 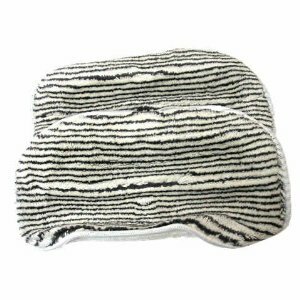 Remove pads from head and rest head on towel.cloth to absorb remaining trickle of water before final storage. This mop is an alternative to the Green tea above. It also relies on no chemicals , soap or detergent to clean thoroughly. Chemicals affect different people and animals in a variety of ways. Some people have lungs that can be sensitive to mopping chemicals making them allergic to any chemicalized floor or carpet cleaning. Some pets such as cats can have their paws affected by cleaning chemicals. This what makes non-chemical using steam mops such as this one tick. A tip from users of this unit: to get maximum effectiveness from this steam mop, walk in reverse whilst cleaning. This appears to drive the steam to the floor rather than have it escape as happens when cleaning going forward. The on board water tank will give you 15 minutes of continuous steam cleaning before need for refilling. If your concern is storage, this cleaner can easily be hang on a mounting on the wall using a hook like design on the handle. 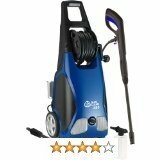 We recommend this steam mop and give it a rating of 4.5 stars out of 5. The balance in rating is accounted for by a few annoying things that have come to the attention of many users in the CONS side of things below. Selling at about $90.00 this is a reasonable spend on a steam mop cleaner. - it's great that it works on a wide range of surfaces such as linoleum and ceramic tiles, stone, vinyl, laminate and sealed hardwoods. - to achieve best outcome in terms of cleanliness it appears you have to pass your mop very slow over chucks of surfaces. - it might be necessary to change your pads time and again when you change cleaning rooms due to them being wet. Common issues you will possibly encounter with your pads are that they get dirty and even too wet to use in the next room. By default Bissell supplies only two mop pads on your new steam mop purchase. 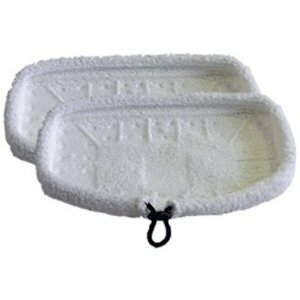 Depending on your workload it might be necessary to get additional pads as replacements. These 3255 replacement pads will fit all Bissell mops and are microfiber pads. They constitute an additional under $8.00 cost if you buy from Amazonwhich we know offers best price for these items. These pads are for hard floors. They may not be used with same anticipated results on your carpet for instance. - some users observed that when the mop pads get heavily wet they tend to stick to the floor and become difficult to move. These Bissell steam mop pads are designed for the model 1867-7 steam mop by Bissell also known as Green Tea. The replacement pads cost about $13.00 for a pack of two and have been praised for being of a higher and better quality than the ones accompanying a new 1867-7 steam mop. Particularly, you can count on the pads doing a better and thorough clean of dirt.